Leaks first appeared in May that Apple was planning to add web versions of the Reminders and Notes iOS apps to iCloud.com for access from desktop Macs and PCs. The iCloud Beta portal has since been activated for developers enrolled the iOS 6 beta at beta.icloud.com. The site displays "Beta" tags on Calendar, Find My iPhone, Notes, and Reminders -- the last two being new additions to iCloud. The web version of Find My iPhone has been polished, with a battery status icon as one new feature. The add-on gives users with lost gadgets some indication of how long they have to find their device. Notes is a fairly faithful reproduction of the skeuomorphic notepad on the iPhone. 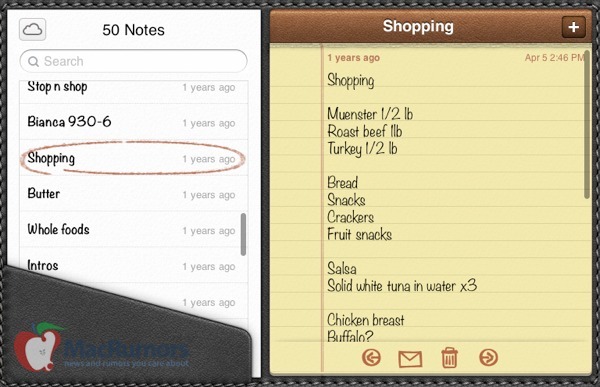 Users can create, edit, and delete notes, with updates reflecting on iOS devices in near-real time. Apple says it is using iCloud to "increase customer delight". With more than 125 million iCloud users as of April, it's unsurprising that the company is focusing so much effort on the service -- both on iOS and the Web. The new iCloud web apps will be live for all users with the launch of iOS 6, expected this fall. 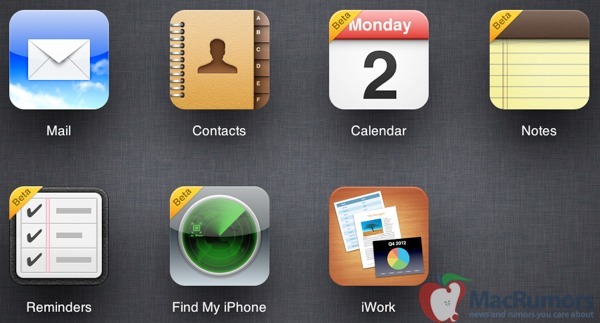 Isn't it about time 'Find my iPhone' was renamed? Seen as though it doesn't just 'find iPhones' anymore, a more fitting name could be 'Find my Device'. It just seems a little confusing for new users who may not realise they should also track their iPad, iPod Touch or Mac through the same application. Apple, please make your maps applications available via iCloud.com! Find my iphone powered by google. i wonder how long that will last? Now they just need to put back the Bookmarks app. Huge void not having that available. So there is still no way of viewing/managing my photo stream on the web? It is the visible stiching in the notepad cover that really lets me know I'm dealing with a piece of quality merchandise. A cheaper cover might use glue to seal the seams, but you know that will split eventually and then your cover will fall apart and your note pad and your reminder slips will be lose and could get exposed to rain or something. A nicely stiched leather notepad cover will keep them all together and organized. I'm glad I stick with Apple because of their insistance on this level of quality. The Notes interface looks really cheesy. No wonder Ive hates it. All it needs is some Comic Sans. Nice addition of battery meter on Find My iPhone. Find My iPhone definitely feels beta. The accuracy is not as good as the current stable version and the textures are off. Not fully baked yet. 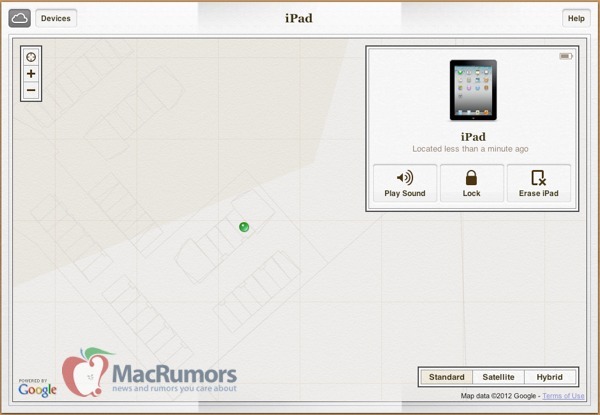 Will they be bringing their iOS maps to the web version of Find My iPhone? Right now you can lock your "Accounts" under restrictions to prevent changes to iCloud such as turning off "Find my iPhone", but that does not stop the standard shutdown or airplane mode disabling. I wonder if there is any liability in requiring a password to power down a mobile device.